If you’re looking for dental crowns in Dublin D4, you’re in good hands with Pembroke Dental Ballsbridge. Below, we’ll cover what dental crowns are, why you might benefit from a dental crown and how we at Pembroke Dental can help you. 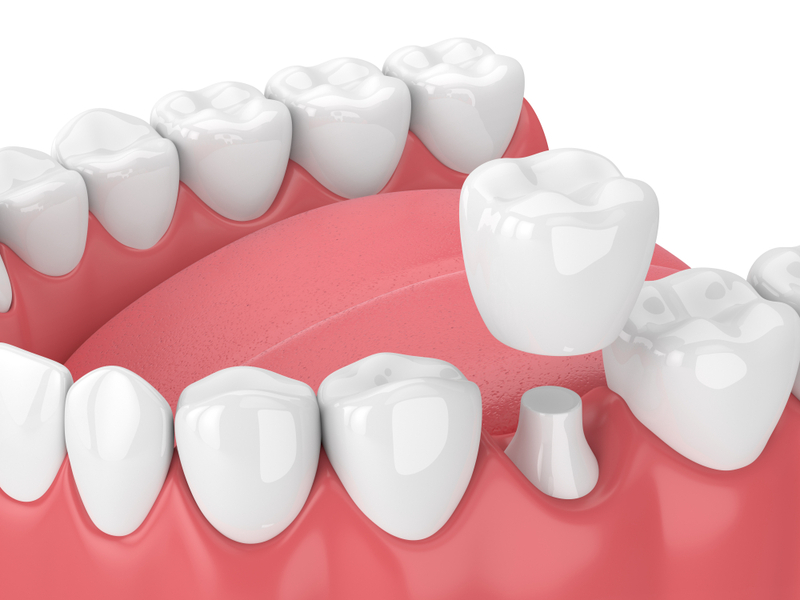 Dental crowns have been around in one form or another since ancient times.Put simply, a crown is a tooth cap that is placed over a tooth and held in place by dental adhesive or cement. Before fitting a crown, the tooth tissue will be reduced and shaped so the crown can be affixed. Using a dental crown, your dentist can restore your tooth’s shape, size and appearance. What Are Dental Crowns Made out Of? Crowns can be made from a variety of materials. They can be made from plastic, ceramic or metal alloys. A combination of metal and ceramic is also possible — this helps to maximise strength and simulate the appearance of natural teeth. A zirconia crown is a popular type of all-ceramic crown that is worn to improve the appearance of a tooth that has become stained or disfigured over the years. They are durable, easy to wear and long-lasting, making them an extremely cost-efficient choice. The E-Max crown is a type of all-ceramic crown with an appealing translucent colour. This dental crown is favoured for its long-lasting, aesthetic qualities. This crown and the Zirconia crown are popular as a result of their highly attractive appearance — they are carefully designed to complement the rest of your teeth. E-Max is considered a good option for damaged, stained or poor quality teeth. This crown is made from a single block of lithium disilicate ceramic: this is a top grade material which has been harvested for its toughness, durability and opaque qualities which makes it a highly prized dental crown. These are a type of cosmetic crown made purely from ceramic and no other material. This is in contrast to other types of crowns, such as the porcelain fused to metal variety and gold crowns. The defining feature of these crowns is that they are made from a translucent material which is attractive to look at and blends in well with the rest of your teeth. For this reason, ceramic crowns are a popular choice when restoring front teeth as they can seamlessly blend in with your natural tooth colour. 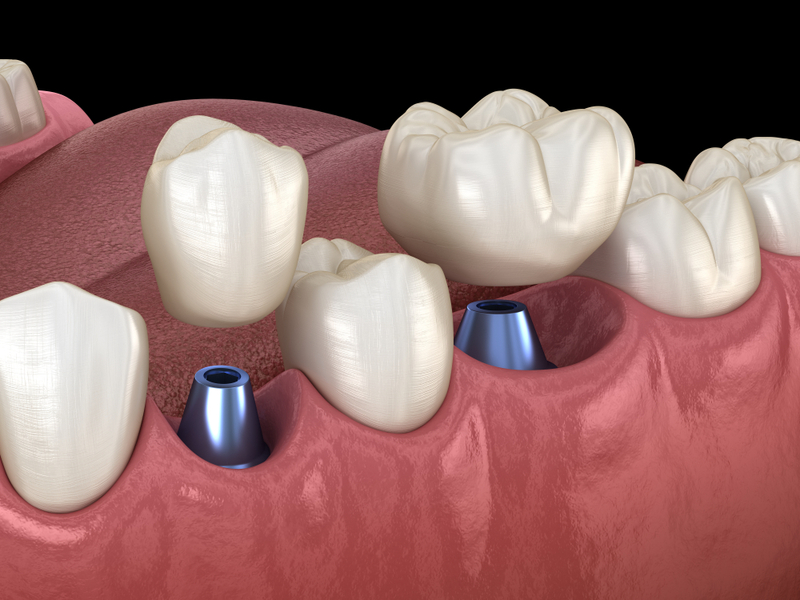 Metal-ceramic crowns are a traditional type of crown often used in bridges plus crown and bridge cases. They are often fitted onto back teeth and are considered a strong, robust type of crown. Another name for this is a “porcelain fused to metal” crown. They consist of a metal interior or base which is fused to porcelain crowns. The metal interior can be produced from a range of metals, e.g. alloy and this is what gives this crown its strength. How Do I Care for My Dental Crowns? Crowns are made of inert materials that do not deteriorate over time. However, the underlying tooth is still prone to decay and gum disease. You should also be aware that the ceramic on the surface of the crown may chip or fracture over time. Avoid chewing excessively-hard substances like ice or bones. Daily brushing and flossing are essential for maintaining good oral health as well as keeping the crown in peak condition. The most vulnerable portion of the crown is the margin or the junction between tooth and crown. Regular check-ups at your local dentist will ensure any problems relating to your dental crown are picked up and addressed as early as possible so that you can organise any recommended treatment. A dental crown process is a routine procedure and we fit hundreds of them here at Pembroke Dental Ballsbridge. If you have any questions about our process, please get in touch with our friendly team. At your first appointment, we run a thorough clinical examination. The results of which will indicate suitability for crowns and let us know if any preparatory work needs to be carried out. Your dentist will also be able to advise on material choices, treatment sequence and address any other concerns you may have. At the second appointment, we will prepare your teeth to be crowned. This procedure involves reduction of the tooth size (usually under local anaesthetic) followed by an impression or mould of the prepared tooth. This trimming of the tooth is required to create the necessary space for the crown to be fitted. The mould taken is then sent to a laboratory where skilled technicians will fabricate the crown. In the meantime, a temporary crown is made and mounted onto the trimmed tooth. At the third appointment, the temporary crown is removed and the tooth surfaces cleaned. The completed crown is tried on the tooth for fit, harmony with the bite and appearance. Finally, the crown is affixed onto the prepared tooth with dental cement. If, however, time is a concern for you, we at Pembroke Dental Ballsbridge now offer a convenient alternative that will allow you to have your dental crown created and fitted in-house, in one dental visit. This new process is known as CEREC. At Pembroke Dental Ballsbridge, we highly recommend making use of our CEREC dental service. CEREC is a form of modern dental technology that is designed to take 3D scans of your teeth using CAD software. We are then able to use these scans to design and fit custom-fit, high-quality dental crowns in-house while you wait. The whole process is undertaken in just one dental visit. CEREC one-visit dentistry means no messy impressions, limited injections, no temporary crowns and — most importantly — less time in the dental chair. Our dental clinic in Dublin D4 is state-of-the-art so that you can sort your crown in just one visit giving you perfect results with minimal hassle. Pembroke Dental Ballsbridge is one of the most modern dental practices in the country and one of a few dental practices in Ireland to offer same-day CEREC restorations. CEREC crowns are known for being strong and durable. CEREC crowns are so natural they even expand and contract like your other teeth. To avoid the need for temporary crowns, ask about CEREC in Dublin D4 today. Our dental clinic in the heart of Dublin offers premium dentistry in a contemporary, relaxed environment. We understand you might be anxious and our team is well-practised at helping nervous patients understand and become comfortable with the process. We practice compassionate care and we offer everything from dental crowns to orthodontics, so you can get all your dental concerns addressed under one roof. If you feel that you may require this service, please make a tooth crown appointment today. Our professional dental team in Dublin D4 are here to help.